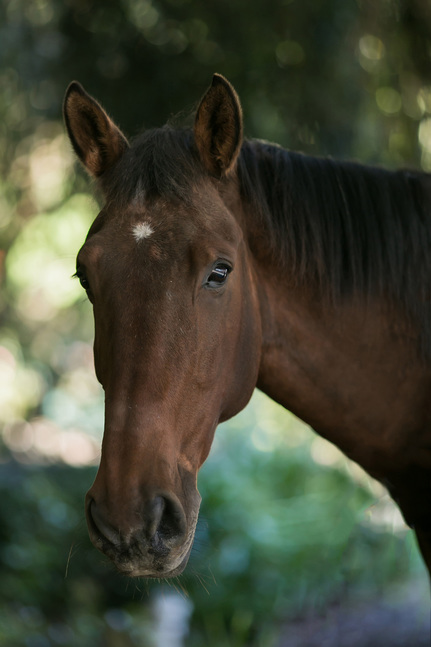 Our horses are four legged therapists, carefully selected for their calm temperament and soundness. The legs of these beautiful animals become the legs of our riders, allowing them a sense of freedom they seldom experience elsewhere in life. Their movement emulates ours by being three dimensional. This provides therapy and improves the well-being and mobility of our riders. A special bond develops between Horse and Rider. Horse riding is a unique form of exercise and rehabilitation. The complex movement of the horse helps to improve coordination, balance, muscular development and fitness. Horse riding and horse related activities assist in the development and restoration of personal confidence, self esteem, communication skills, leadership and trust. For people with challenging behaviour for example, horses offer a powerful medium for restoring a sense of personal control, which significantly improves behaviour towards family, teachers and friends. Hercules joined the group in September 2014 and comes with an impressive dressage record. At 16.1hh he is our tallest horse. Herc is a 16 year old stationbred and was born on our neighbouring property, Weiti Station. Phoenix is a 10 year old 14hh Kaimanawa gelding who joined us in May 2015. He was mustered out of the wild in May 2014 and competed at Equidays and Horse of the Year in the Kaimanawa Heritage Horses Stallion Challenge. He has a very kind nature and has fitted in to the team and RDA life extremely well. Tonto is a 17 year old part Welsh gelding and stands at 14.2hh. He is a relaxed, kind horse and loves attention. He is a great therapy horse and forms great bonds with his riders. Buster is a 20 year old bay Appaloosa gelding standing at 15.2hh. He was generously donated to us by the Kelliher Charitable Trust in March of 2016. 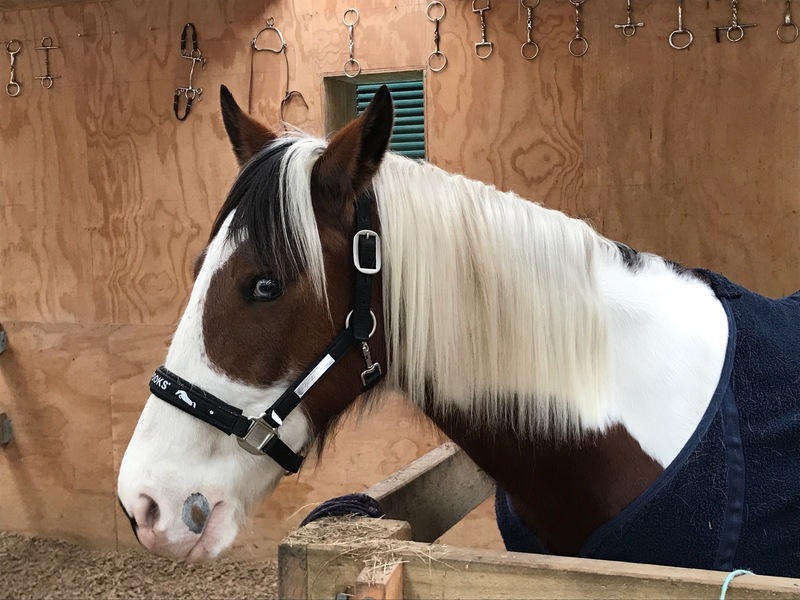 Buster is a good natured boy and with his forward movement, has become a great therapy horse for our riders. Rocky (Rock Steady) is a 19 year old Clyde X gelding who was purchased by us in July 2016. Standing at 14.1hh, Rocky has a lot of experience in various disciplines and came with an impressive history. His calm, gentle temperament saw him slotting into RDA life quickly and with ease. Lenny is a 12.2hh 19 year old grey gelding with a very laid back personality. He is wonderful with our children and loves the attention from the volunteers too. He previously competed in dressage, show jumping and Pony Club. Lenny came to us from Kumeu in January 2017. Missie is a 15.2hh pinto mare aged 15 years old. She has striking markings and a very gentle nature to boot. Missie has previously competed in dressage, show jumping, and been shown in hand. Missie came to us from Kaukapakapa in November 2016. 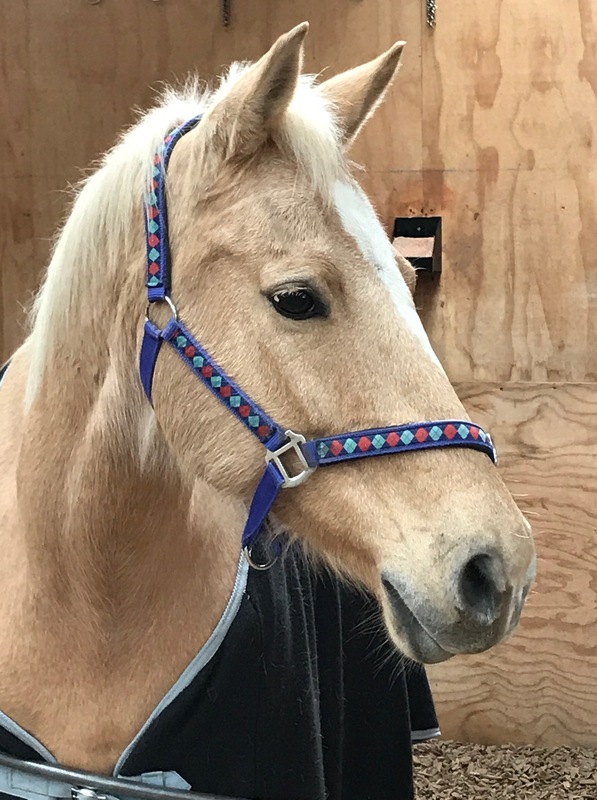 Dream is a 16 year old 14.2hh palomino mare who came to RDA in July 2017. She used to do Pony club, dressage and show jumping in her previous life. Dream has gentle and loving nature and is a pleasure for our riders to enjoy her forward movement.